Home / Uncategorized / Advantage Trophy and Engraving is MOVING! Advantage Trophy and Engraving is MOVING! Phillip and I never intended for Advantage Trophy to be a permanent addition to my home, and we are pleased and proud to announce that we are moving to our permanent home in Ellicott City on Route 40. 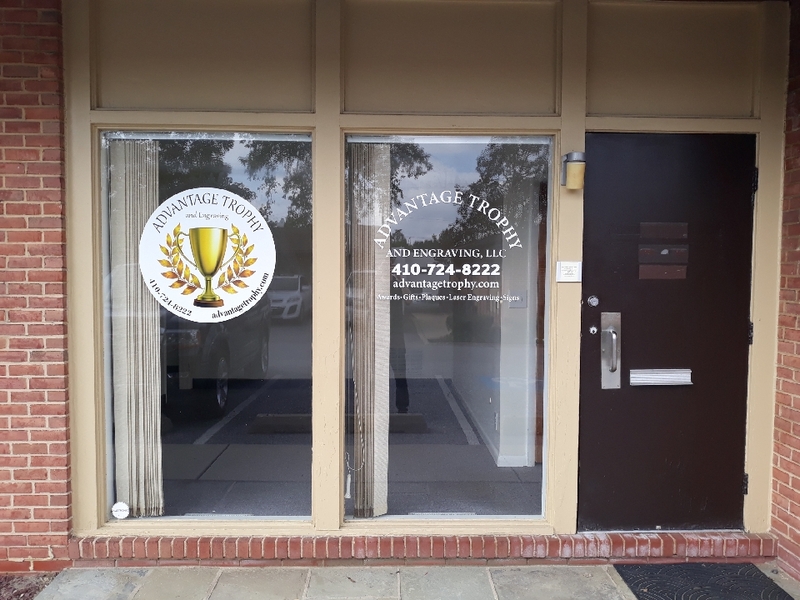 As of November 1, 2018, Advantage Trophy and Engraving, LLC will be at 9051 Baltimore National Pike, Ste 2B, Ellicott City, 21042. We have been upgrading the premises with a new floor, a paint job, new windows and a plate glass window with our logo and name in large letters. We hope this will increase business and project a professional image to our customers. In the months since we started our business, we have learned the engraving business. Building trophies, plaques, learning laser engraving and experimenting with the mediums; wood, metal, plastic, acrylic, etc., have prepared us to build a successful business. Come see our new place of business as of November 1, 2018. We can’t wait! Previous post: Laserable Ideas are Unlimited!